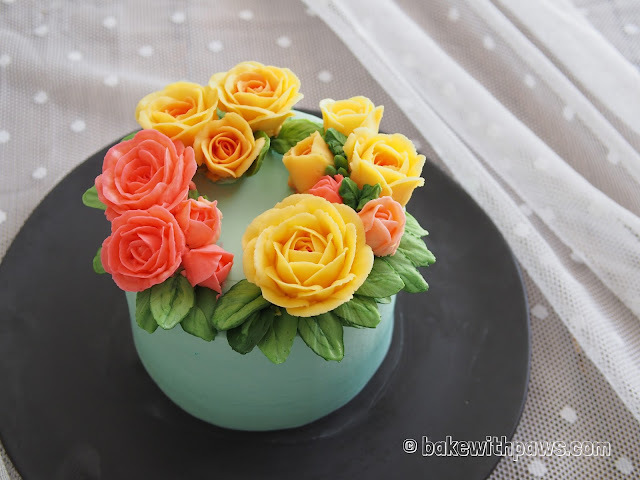 Fresh summer colours for the season! 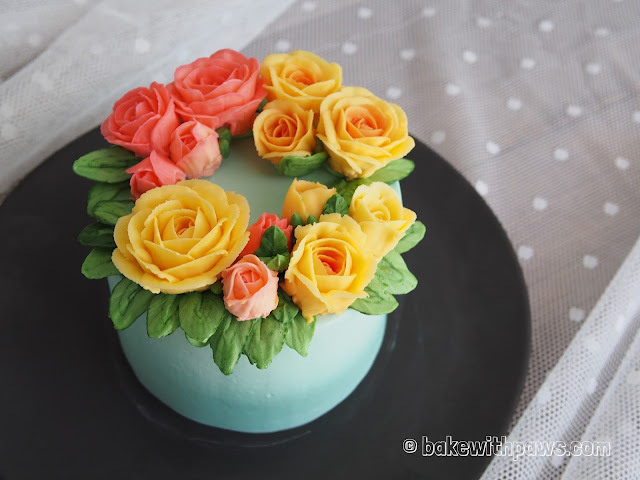 It is 2 layers of 6 inch Banana Pandan Chiffon Cake with Swiss Meringue Buttercream Icing. 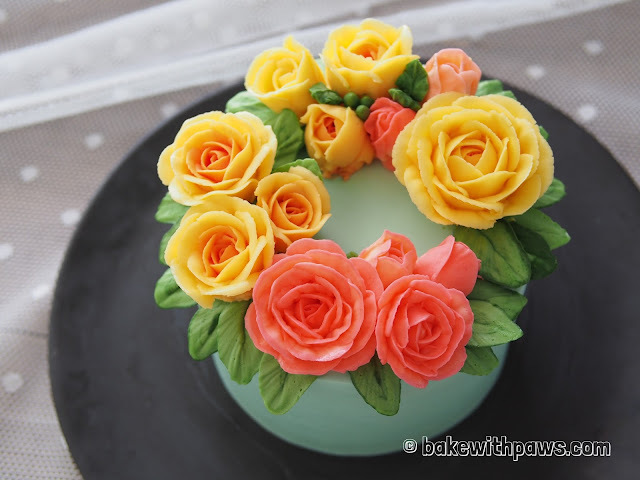 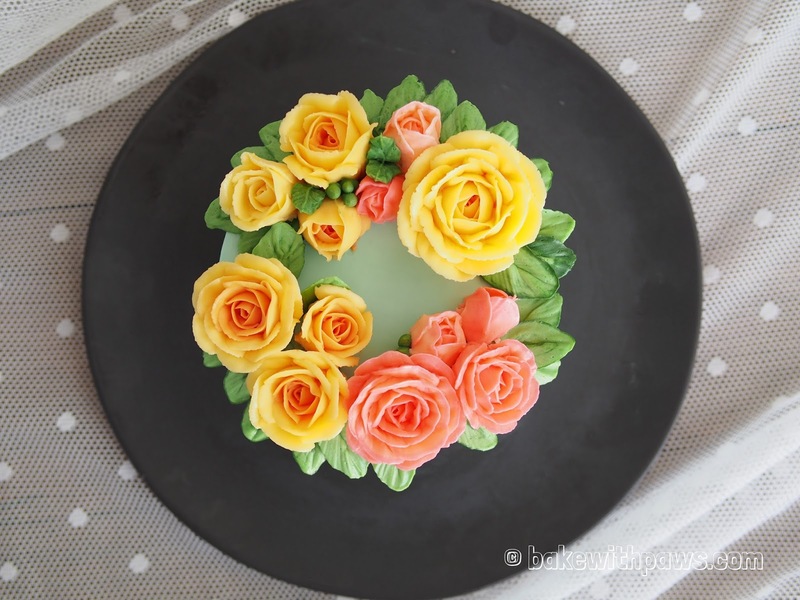 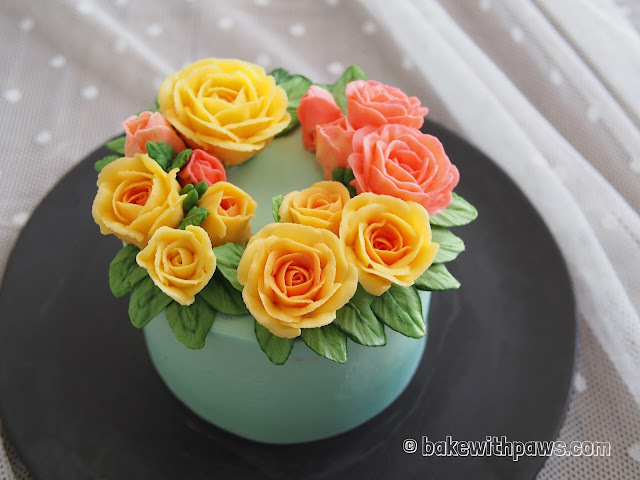 The buttercream flowers are made using an Italian Meringue Buttercream you can find here. 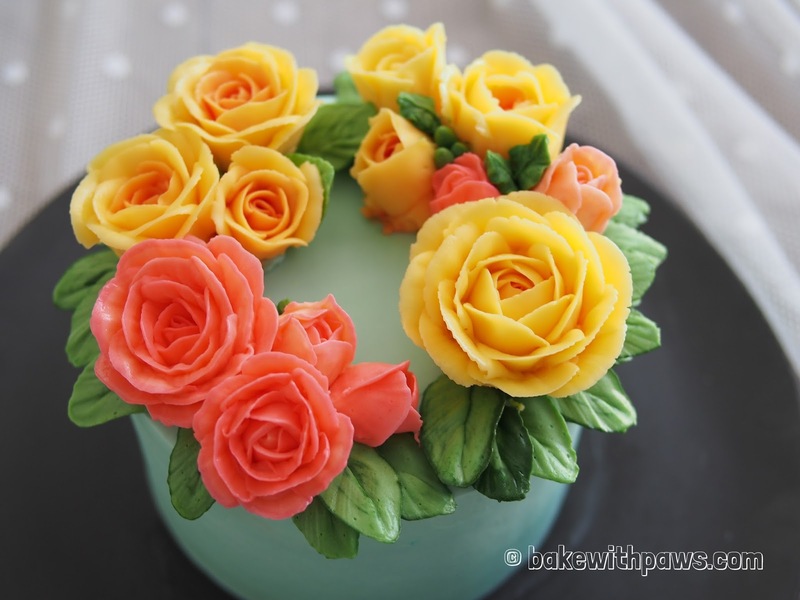 Very attractive and beautiful cake. 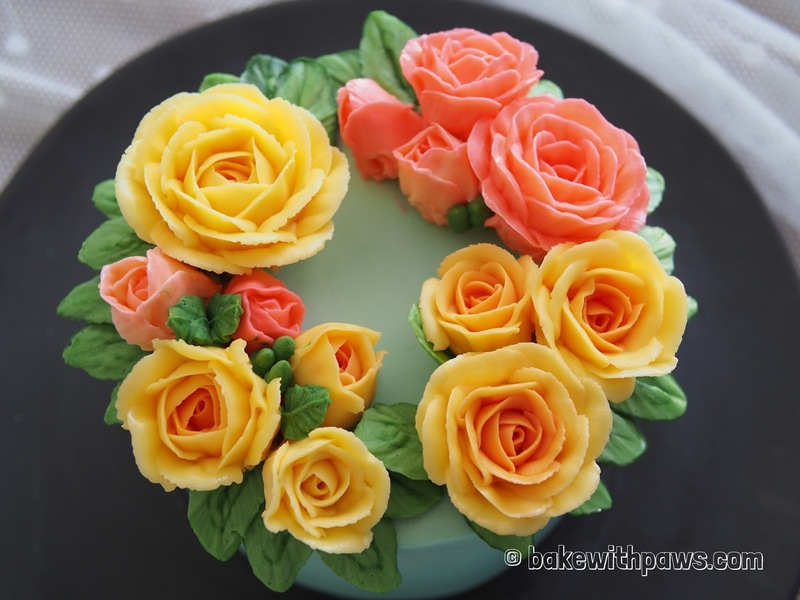 I always like these type of cakes to eat. I have demanded same cake on the occasion of my son's B'Day from NYC Cake Shop and he provided me what I wished. The taste was awesome.